Ana Niurka (12 years old) and her younger siblings Wilber (11 years old) and Ana Niovalin (8 years old) are safe in their new family home: the Casa Monte Plata in the Dominican Republic. It was a sad year for the siblings after losing their mother to cancer but we hope that now under the care of Stand by Me they will begin to heal and feel secure in their loving new family. Ana Niurka and her siblings lived with their mother in a very poor neighbourhood. Their house was situated over an open canal and made of wooden slats and a concrete floor. Ana Niurka, Wilber and Ana Niovalin all shared a bed in the living area of the house. Although these conditions were inadequate and unhygienic they had a loving family, so it was heartbreaking to find out that their mother had terminal cancer. When their mother’s health deteriorated, the girls’ father returned to the family to help support the children. He worked all day at a construction site to earn a small income but his long hours meant that he could not provide the care and supervision that the young children needed. Their mother sadly died in October and shortly afterwards their father brought the children to live in the Casa Monte Plata. The decision was a hard one for their dad, but he knew that he was unable to care for them and offer them the protection they needed in the notoriously dangerous neighbourhood. Ana Niurka, Wilber and Ana Niovalin are bright hopeful children and the staff and children at the Casa Monte Plata have wrapped their kind arms around them. 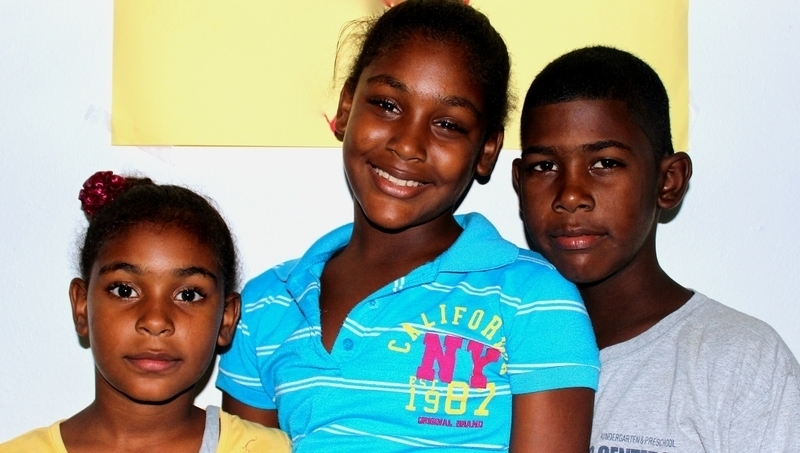 Stand by Me aims to provide these siblings with holistic care to meet all their individual needs. Read more about our work in the Dominican Republic here. Good nutritious food is essential to the health, education and well-being of all of our children. Enabling or homes and the families of our children to be as self-sufficient as possible in food production and animal rearing is an important aim for us at Stand by Me.